Flight Centre says there are encouraging signs the Australian travel market is picking up, particularly for leisure travellers. The travel agency group, which has battled a sluggish travel market in Australia in recent times, made the observation in its 2014/15 full year results published on Thursday. “In Australia, consumer confidence remains relatively subdued but we are seeing positive momentum in leisure travel, with customer enquiry urgently tracking above target and sales in key sectors continuing to grow,” Flight Centre chief executive Graham Turner said in a statement. Strong global sales outside Australia helped Flight Centre post a 24 per cent increase in statutory net profit to $256.6 million in 2014/15, from $206.9 million in the prior corresponding period. Total transaction value (TTV) – an industry term measuring the dollar amount of all travel products sold – rose 9.7 per cent to $17.6 billion. Flight Centre said it was turning its attention to boost sales in “highly commoditised sectors that have previously offered low or no margin and have not, therefore, been growth priorities”. As a result, the company signed commercial agreements with a number of low-cost carriers, including AirAsia and Scoot in Australia. 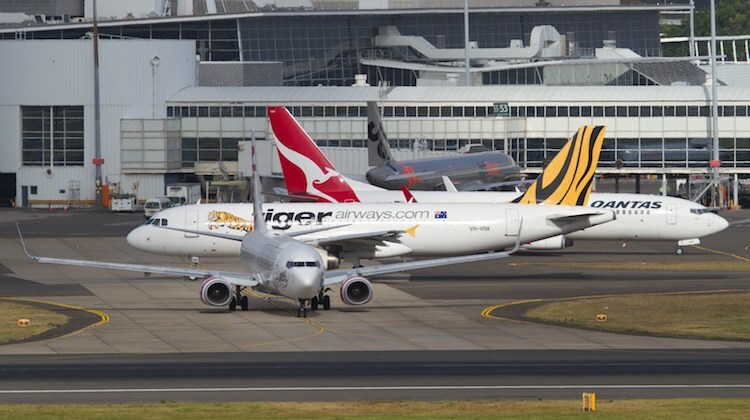 And to further enhance Flight Centre’s online offering in Australia, the company added AirAsia and Tigerair Australia fares to the online booking tool on its website, as well as “additional Jetstar inventory and ancillary products”. The company was also introducing an “accommodation aggregation tool” that would offer access to its customers about 400,000 properties from around the world. Underlying profit before tax fell 3.4 per cent to $363.7 million, which was at the upper end of company forecasts of a result between $350 million and $360 million. In terms of the outlook, Flight Centre has guided the market to underlying profit before tax growth of between four and eight per cent in 2015/16. Flight Centre shares closed Thursday’s Australian trading day up 11.5 per cent at $36.01. you can’t blame them for trying to talk it up, but we’re heading for a huge recession. As Keating said, it’s a recession, we had to have. You’ve only got to look at the revolving price reduction sales airlines are having, even in Xmas school holidays which is normally sold out by now.